Admission time - if I were allowed two "man crushes", they would without question be: George Clooney and Ryan Gosling. Both emit a "cooler-than-thou vibe" that frankly makes any guy aspire to be better at whatever it is they do for a living. And given that the pair headline the cast of "Ides of March", expectations of Oscar-level greatness were a Master Lock to be met - but alas, it's a combination that's too simple to crack. The film centers on Clooney's campaign for the Democratic presidential nomination with Gosling as his campaign advisor (along with Oscar-lock Philip Seymour Hoffman) trying to pull out a win in the Buckeye State. Gosling is tempted by Paul Giamatti (Oscar-lock #2) to jump ship to the competition and all hell breaks loose. An "I-see-it-coming-from-1500-miles-away" plot twist involving a horribly miscast Evan Rachel Wood (playing 18 but looking every bit her actual age of 24) ends in the kind of melodrama you'd expect from Law & Order - not a flick with this much talent stuffed into it. 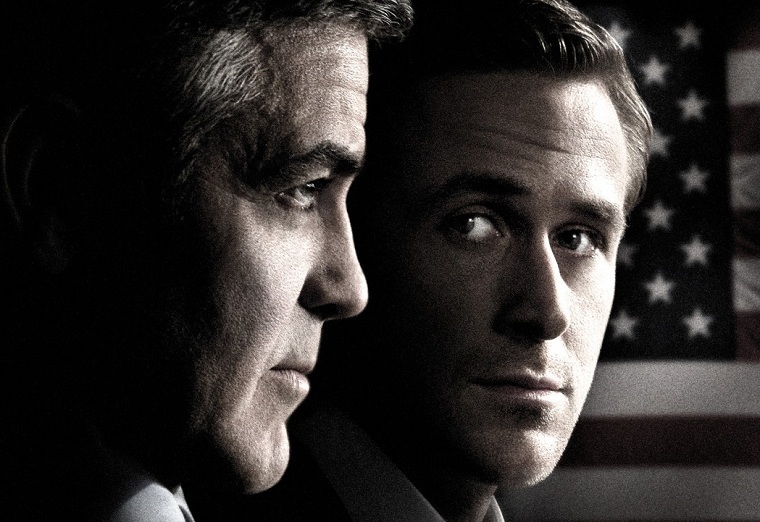 Clooney shows a deft hand at directing but that's offset by the fact he's responsible for its tepid script. If you're going to unveil the behind-the-scenes of a political campaign - you best dole out some stuff that I wouldn't get from Fox News or CNN. In what should have played as this generation's "All The President's Men", instead goes down as this decade's "Primary Colors".